Many of the students in Hyderabad city who aspire to learn English, often concentrate on accent instead of the concepts in the language. But, concentrating on accent makes it difficult to learn and follow English. Therefore, they are either adapting the wrong ways to learn English or moving away from learning English. This growing focus on the accent, than on the language, is becoming very common among the fresh graduates in the city, in the recent past. 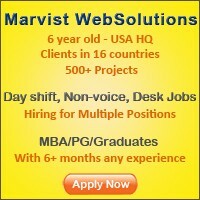 The main reason for this attitude is the latest craze for the BPO sector jobs in Hyderabad city. Most of these call centre training institutes are much focused on developing speaking skills (especially, UK/US accent) of a student, than focusing on teaching the whole language. Hence, this focus-shift from language to accent is now altogether creating a wrong impression on English (that, good English accent is good English) and is misleading the way of learning English (that getting right accent is enough to learn English). Students aspiring to learn English assume that having good accent means good English – even a beggar in the English speaking country, who may not have the skills of the language can speak in his native accent. While, the intelligent and educated native speakers though good at accent will learn concepts of English like grammar, compositions, etc., at schools. Moreover, it is a fact that even different English speaking countries have different accents, every region has its own accent of English due to the nativity influence, and these accents are well accepted across the world. Accent is not at all important when the emphasis is on learning the real language. Take the example of Dr. Abdul Kalam, his accent may seem mostly like a typical Tamil influenced English, but the message and the knowledge he possess is passed to the people through his speech due to the command he has over English. His speeches have been an inspiration for many people across the country. Even the Infosys chairman, Narayana Murthy too may not have a stylish accent, but is a highly knowledgeable and respected person in his industry. These great people are experts in their field and they use language only as a medium to express their thoughts, views and subject. It means that, when you have the right logic, the right grammar and the ability to communicate, never fear of how well your accent is, as long as you are understood. No matter what the accent may be, a well spoken (sensibly speaking) guy is admired in every part of the world. Don’t use accent as a show off strategy, when you actually have no hold on the language. This is what many people in India tend to do, and the socialite category (film stars, incompetent politicians, businessmen, etc.) is the best example. These people have no right stuff to express, hence use accent as a tool to create a positive impression. A well educated person can differentiate between the real knowledge in language and the show off stunt, whereas students in Hyderabad foolishly fall prey to these idiotic show off strategies and take these personalities as inspiration to learn English. Some people also have the tendency to degrade a person who cannot have the accent on par with the native speakers, which is absolutely wrong and will discourage one from learning English. One needs to improve his language skills and not his accent to get command over English. As long as one is knowledgeable in his profession and has right English skills (moderate or excellent), he is admired, no matter how unstylish his accent is. Style cannot be a substitute for substance in the medium/long term. One earns respect for his thoughts and subject matter expertise, not the accent. Remember that, accent is never a barrier for communication. Accent is just for glamor – real or perceived.